Like the other Serendi businesses, Serendipalm is certified “Fair for Life” and organic. This combination of environmental and social standards lends Dr. Bronner’s corporate philosophy a verifiable credibility and helps its raw materials suppliers to assess strengths and weaknesses. Serendipalm’s associated farms and production facility have been certified Fair Trade since 2008 to the “Fair for Life” standard and are certified organic in accordance with the EU Organic Regulation (EC) No. 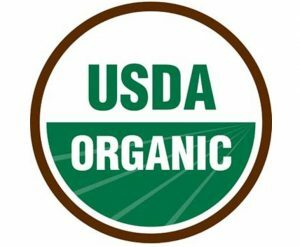 834/2007 and the National Organic Program (NOP) of the U.S. Department for Agriculture (USDA). IMO, a respected Swiss certification agency, conducts annual on-site inspections to ensure that Serendipalm complies with Fair Trade and organic standards. Both sets of rules define ecological agriculture and the manufacture of agricultural products in a nature-friendly way and with due consideration for ecological and environmental protection findings. The underlying principle is to create a closed production cycle. Ecological agriculture dispenses almost entirely with the use of agrochemicals—i.e. synthetic pesticides and mineral fertilizers—as well as gene technology, methods that are commonly used in conventional agriculture. For us, however, organic means far more than merely observing statutory requirements and standards. We want to help farmers to understand organic farming as a production philosophy and train them in sustainable production methods. Soil fertility, biodiversity and species protection have priority, and go hand in hand with increasing yields for farmers. The widespread use of pesticides in conventional cacao farming entails challenges that call for planning, monitoring and sanctions. As we know from our own and partner projects, this is an ongoing challenge that we are eager to tackle. The “Fair for Life” label identifies products from socially responsible and environmentally friendly cultivation that have also been processed and traded on fair terms. The certification program was developed by the Swiss Organic Foundation in conjunction with the Institute for Marketecology (IMO) as an alternative Fair Trade certification program in order to define fair trading criteria for all producers and all products.